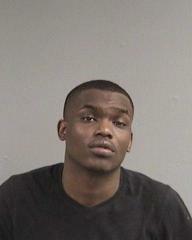 Two Oakland men were arrested by San Leandro Police officers for committing at least five auto burglaries during the night in the area of 148th Ave. and Western Ave. in San Leandro. The incident occurred on Tuesday, January 15th around 4:20 in the morning. San Leandro Police dispatch received a call of two suspicious individuals walking in the neighborhood. SLPD officers were dispatched to the area and one officer located a vehicle that had been burglarized. A second SLPD officer that arrived in the area located the two suspicious men, 20 yr old Caleb Smith and 19 yr old Maurice Griffin walking in the area. Smith was carrying a backpack that appeared to contain loss items from the burglary, and Griffin was found to be in possession of a window punch tool used to break glass. Officers searched the neighborhood and found four additional auto burglaries all with broken windows. Loss items from the burglaries were confirmed to be in the possession of the suspects. Both Smith and Griffin were arrested for these burglaries amongst other charges. 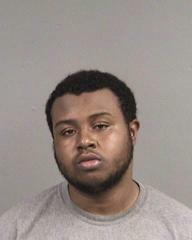 On January 17th, the Alameda County District Attorney charged both suspects for these crimes. Smith and Griffin remain in custody at Alameda County's Santa Rita Jail in Dublin awaiting their next court appearance.